Casey Martin driving his cart during a tournament. The Americans with Disabilities Act, passed in 1990, prohibits discrimination against people who are disabled. The far-reaching civil rights statute covers employment practices, public places and commercial facilities. Certain recreational facilities also fall under the purview of the ADA, including swimming pools, amusement rides, bowling alleys and golf courses. Guidelines issued in 2002 specify the minimum standards recreational facilities, including golf courses, must meet to ensure they are open and accessible to the disabled The provisions of the ADA collided with professional golf when disabled professional golfer Casey Martin sued the PGA Tour for the right to use a cart in PGA Tour events. The Supreme Court found in favor of Martin in 2001 in a landmark decision that applied the act to professional sports for the first time. ADA guidelines focus on new golf courses or courses that are modified. The guidelines cover courses and driving ranges, parking spaces, accessible routes to a course and bathroom facilities. Routes between buildings or facilities on the course also must be unobstructed. 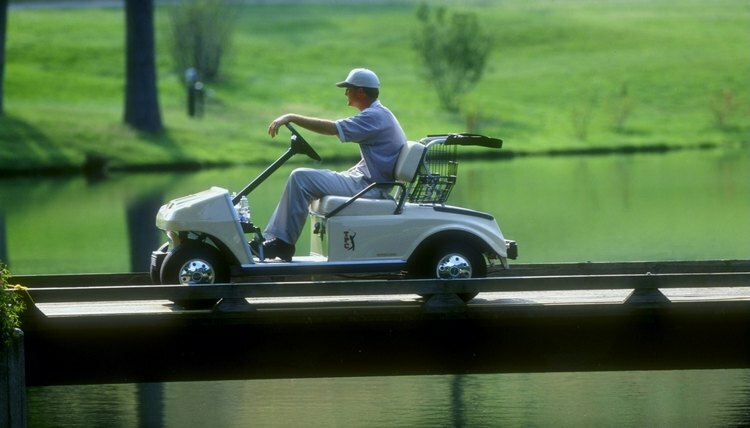 The ADA assumes many disabled golfers will need a golf cart to play a course. If there is more than one set of tees on a particular hole, the forward teeing area must be accessible to golf carts, unless the terrain of the area makes compliance with ADA rules unfeasible. Similarly, putting greens must be designed so a golf cart has a path to enter and exit the green. The ADA also mandates that parking lots must be accessible to driving ranges and that at least one hitting station must be accessible to golf carts. At least 5 percent of hitting areas must be handicapped-accessible at larger facilities. In Martin v. PGA, Inc., the U.S. Supreme Court ruled that a professional golf tournament was bound by the ADA to provide access to the disabled, including both fans and golfers. The legal issues of this case were both novel and complex. The Supreme Court ruled 7-2 that Martin was disabled and entitled to reasonable accommodation if such accommodation didn't change the "fundamental nature" of the competition. In short, did riding in a cart give Martin an advantage over the other golfers? The Court ruled it did not, since Martin's disability -- a withered leg that prevented him walking the course without extreme pain and limited his fitness level -- left Martin at a physical disadvantage to the other golfers, even when he used a cart.